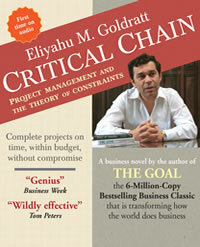 Dr. Eliyahu M. Goldratt\'s book shows powerful yet simple techniques to solve project management\'s toughest problems, using his Critical Chain Project management concept. Written as a novel, this book not only teaches companies and individuals to drastically cut project development times resulting in early completion within budget and without compromising quality or specifications, but provides the framework to create a decisive competitive edge for organizations. Project Managers and their teams will benefit from Goldratt\'s techniques of how to remain focused on the few critical areas and how to prevent their attention from being divided among all of the projects tasks and resources. Especially useful for dealing with one of the most difficult and pressing management challenges: developing highly innovative new products. Academic Institutions offering MBA programs can significantly benefit from Goldratt’s concept of measuring students performance through the results generating from the application of the knowledge taught during the program. "Anyone who doesn't snap up a copy is missing a wonderful opportunity for professional and personal development." "This book is valuable to two main audiences: project managers and senior managers…useful for dealing with one of the most difficult and pressing management challenges: developing highly innovated new products." "Eli Goldratt's first novel,The Goal, shook up the factory floor… Goldratt essentially adds a discipline for understanding what drives project performance and therefore what the focus of a project manager's attention should be." 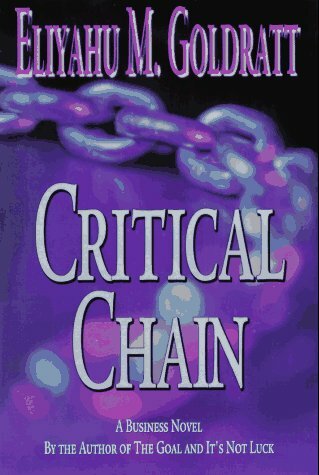 "Critical Chain will revolutionize project management."